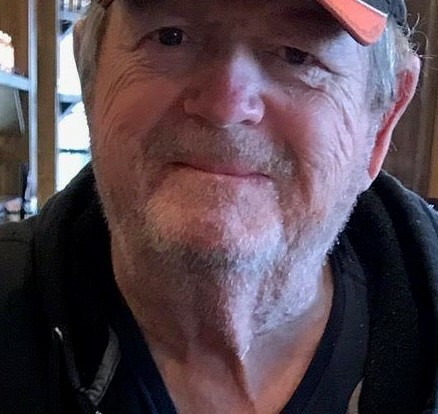 Curtis Lee Sherwin, Jr. 71 of Romney, IN passed away Thursday January 31, 2019 at Banner Baywood Medical Center in Mesa, AZ. Curtis was born in Crawfordsville, IN March 25, 1947, the son of the late Curtis Lee Sherwin, Sr. and Mary Annabel (Avery) Sherwin. He was a graduate of Stockwell, IN High School and attended Purdue University. Curtis was a veteran of the US Army, Vietnam War, serving from October 1966 until June of 1968 as a medical corpsman. He married Candace Jane Brunner at Williams, IN December 26, 1981 and she preceded him in death March 12, 2015. Curtis was employed in the medical illustration department at Purdue University as a computer/video technician until retiring in 2009. He was an avid amateur radio operator and was a member of the Tippecanoe Amateur Radio Association. Surviving is a daughter, Cynthia Starr Morrison (husband Mitch) of Mesa, AZ; three brothers, Major W. Sherwin (wife Vicki) of Greencastle, IN; Robert A. Sherwin (wife Kristen L. Willard) of Redondo Beach, CA; Lucius M. Sherwin (wife Kimberly) of Plano, TX; and a sister, Mary Louise Uhler (husband Joseph) of Polk, PA. Also surviving are four grandchildren, Sarah Jane, Isaac Avery, Grant Walker and Micah Callum and lots of nieces, nephews, great nieces and great nephews. He was preceded in death by a brother, William A. Sherwin. In lieu of flowers, donations can be made to the Michael J. Fox Foundation for Parkinson’s Research (michaeljfox.org). Condolences may be sent to MemoryOfCurt@gmail.com and will be shared with the family. Friends may call at the Hahn-Groeber Funeral Home, 1104 Columbia St., Lafayette from 1:30 until 2:30 PM Saturday Feb. 9, followed by a time of fellowship starting at 2:45 PM Saturday at West Lafayette Christian Church, 1980 Lindberg Road, West Lafayette, IN. Private family interment will be held at Indian Creek Christian Cemetery, Royal Center, IN.